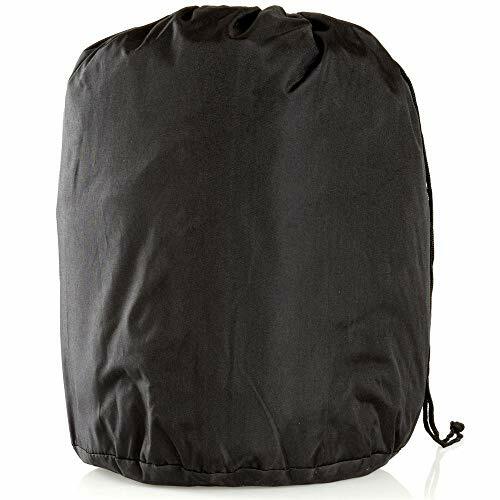 Size: -- Choose Size -- 113" x 48" x 48" 119" x 48" x 48" 125" x 48" x 48" 138" x 48" x 48"
Our heavy duty Black Ice snowmobile storage covers provide extreme protection against dirt, debris, weather, and UV rays. 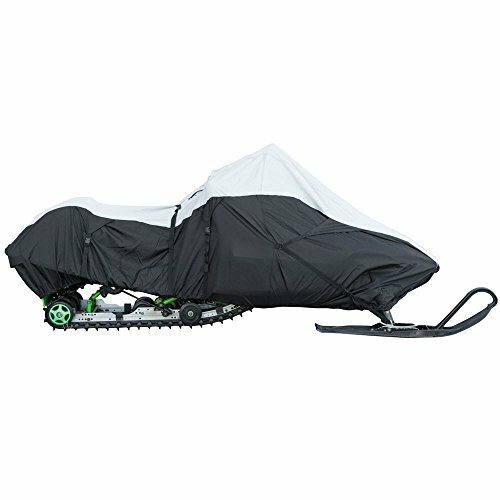 Made from 300d polyester, with a 600d polyester center stripe, these snowmobile covers look good and won't scratch the sled while protecting it in storage or during transport. 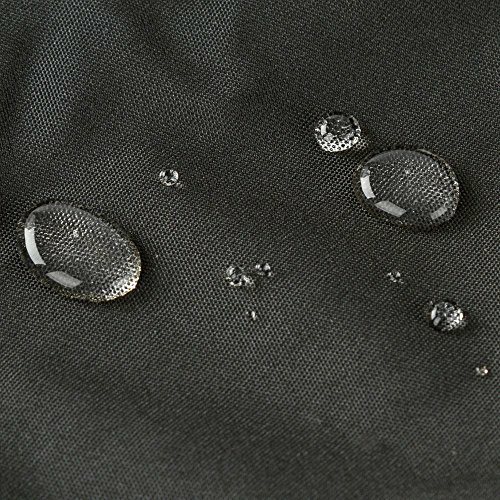 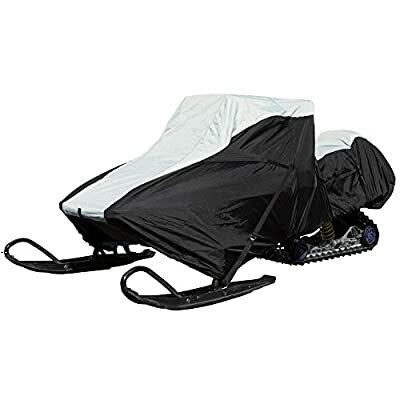 Waterproof and breathable, the Black Ice snowmobile covers prevent moisture and mildew buildup. 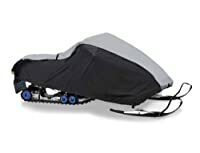 Our snowmobile storage covers are UV resistant, to help protect the snowmobile surfaces from fading or damage. 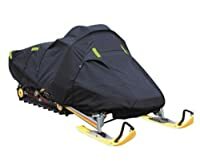 Keeping the sled covers put while towing the sled are built-in adjustable tie-down straps hooked through integrated D-rings, an elastic bottom hem to keep the cover snug, and dual air vents to reduce the amount of lofting caused by the wind. 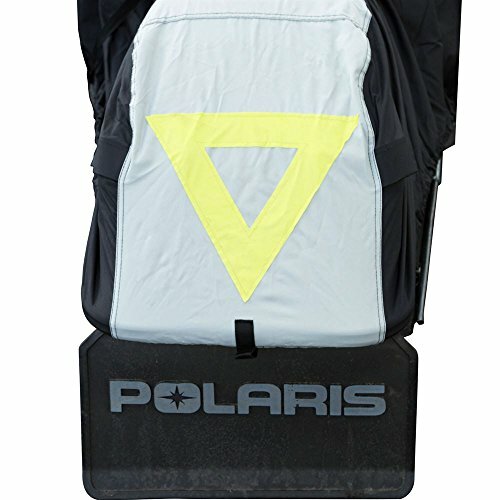 For added safety when towing the snowmobile, the extreme sled covers feature a reflective triangle on the back. A zippered door allows access to the fuel tank, so the sled can be fueled without removing the cover. 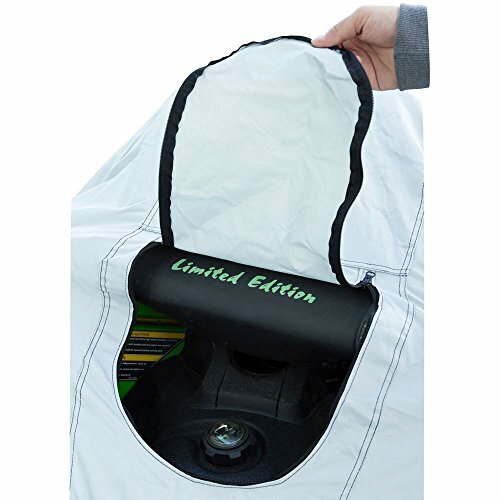 Each of our snowmobile covers includes a convenient bag to store it in when heading out for a day on the trails.